teacher for our children, Brittany and Brian. Mary really has a passion for teaching and, it really shows in her approach. She challenges her students to be the very best that they can be. I didn't know anything about piano until I met you. You are a very nice piano teacher and a very nice friend. and seven year old sons. 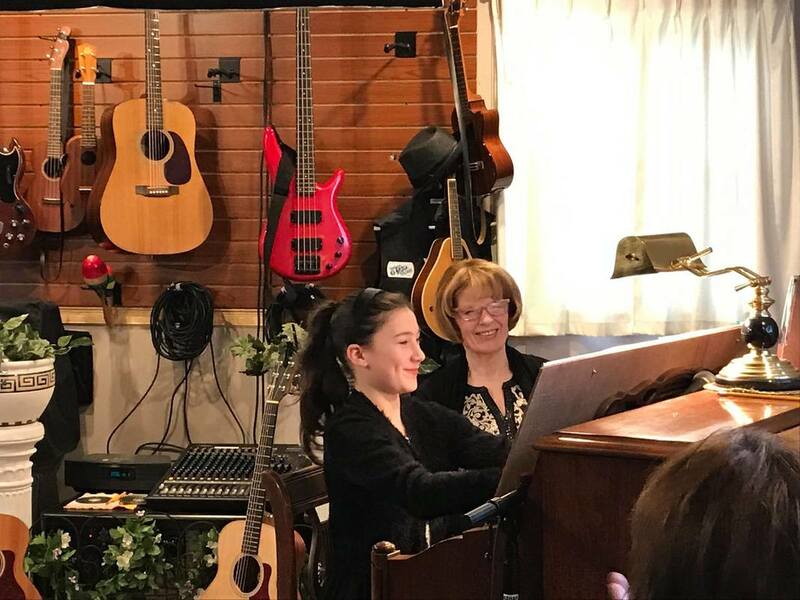 They are thriving and enjoying learning piano. We attribute much of this to Mary. 5 Stars!! special in many ways. We love you, Mary. Mary is one great piano and vocal teacher! I happen to know because she taught me how to sing. Anyone who wants to improve their skills and to learn music the RIGHT WAY should sign up with Mary. The Easton Stories "Special Person Award"
well let's just say some are older than me....while they plink and plank away at the keys slowly mastering a simple song and eventually mastering their own symphonies. She gives the gift that lasts a lifetime. You're awesome, Mom! Bravo!